Obviously we love hot tubs here. Who doesn’t? It’s tough to beat the relaxation they offer, the soothing warmth, and the general appeal of saying to your friends, “hey let’s jump in the hot tub!”. 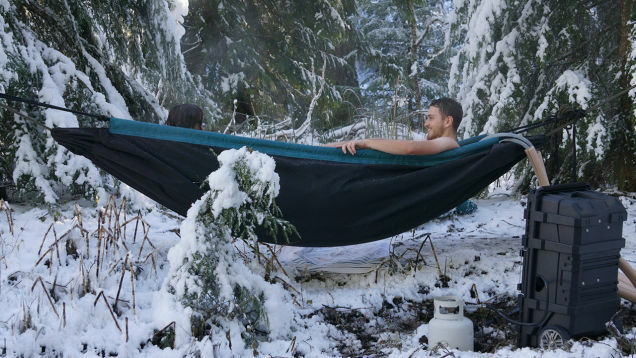 Over the years we’ve seen a few interesting spin offs, from the floating hot tub boats, to the portable camping hot tub, and today we are sharing what might be the most exciting derivative yet – the hot tub hammock. 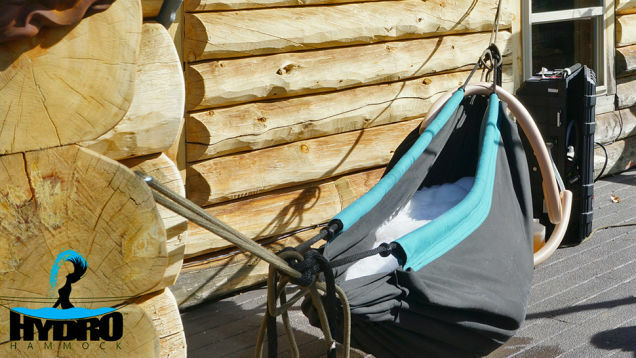 The Hydro Hammock takes two of our favorite things and combines them into one. It comes in two sizes, for one or two adults, and holds 50 gallons of water. Of course, you’ll also need two exceptionally large trees to keep it anchored. The creators of the hydro hammock set up a Kickstarter campaign to get funding for their invention, and hope to raise $50,000 toward their goal. For $260-320 you can pre-order the hammock itself, but that doesn’t include the water heater, which is an obviously necessary component. For that you’ll need to donate an additional $920 for the portable water heater, bringing the total to about $1,200 for the complete setup. While the price might be a bit steep, by the looks of it once you’re settled into your steaming hot hammock, your worries will fade away. This entry was posted in blog and tagged hammock, hot tub, hydro hammock, kickstarter.